Tattoo makeup a thing of the past, tattoo hair is the next big thing! Check out the bold new look for Lou Eyrich, the award-winning costume designer for the hit TV show Glee. Notice anything different about her hair? It’s a tattoo. 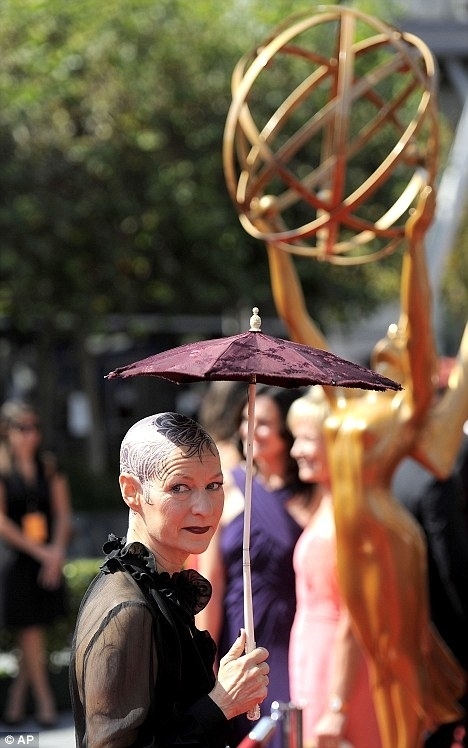 The designer sported her bold new look of tattoo hair during the Primetime Creative Arts Emmy Awards in Los Angeles. 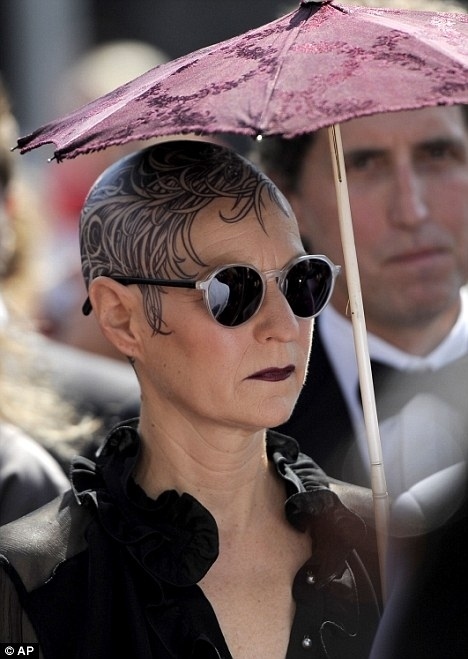 The sunglasses and umbrella is an interesting look as well – perhaps to protect her newly shaved head? It’s quite a change from the blonde hair she sported back in February. What do you think about her newly tattooed head? And who says people only get tattoos when they’re young? 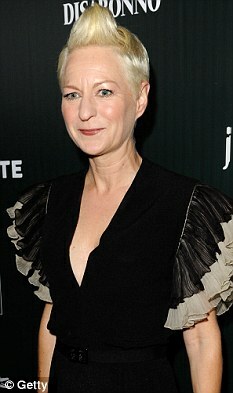 Check out the original source (http://www.dailymail.co.uk/tvshowbiz/article-2036211/Glee-costume-designer-Lou-Eyrich-reveals-bold-new-head-tattoo-awards-ceremony.html).